Easyview Indoor Air Quality Meter/Datalogger The EA80 checks for Carbon Dioxide concentrations using a maintenance-free dual wave NDIR (non-dispersive infrared) CO2 sensor with a range of 0 to 6,000 PPM. It can automatically data log up to 20,000 data sets or manually enter up to 99 sets for later recall. Additional features include: auto power off, data hold, max/min with time stamp and alarm. Comes complete with six AAA batteries, Windows 95/98/NT/2000/ME/XP compatible software and an RS-232 interface cable. Easyview Indoor Air Quality Meter/Datalogger is rated 2.0 out of 5 by 1. Rated 2 out of 5 by Mike from For $700 dollars it did not meet my expectations. Not because of the quality, or whether it works... For $700 dollars it did not meet my expectations. Not because of the quality, or whether it works or doesn't, but there is almost NO information as to how to operate it. Just very basic stuff, which I could've figured out on my own. I need calibration recommendations, tutorials...something more than what came in the box. This is obviously not Home Depot's issue. 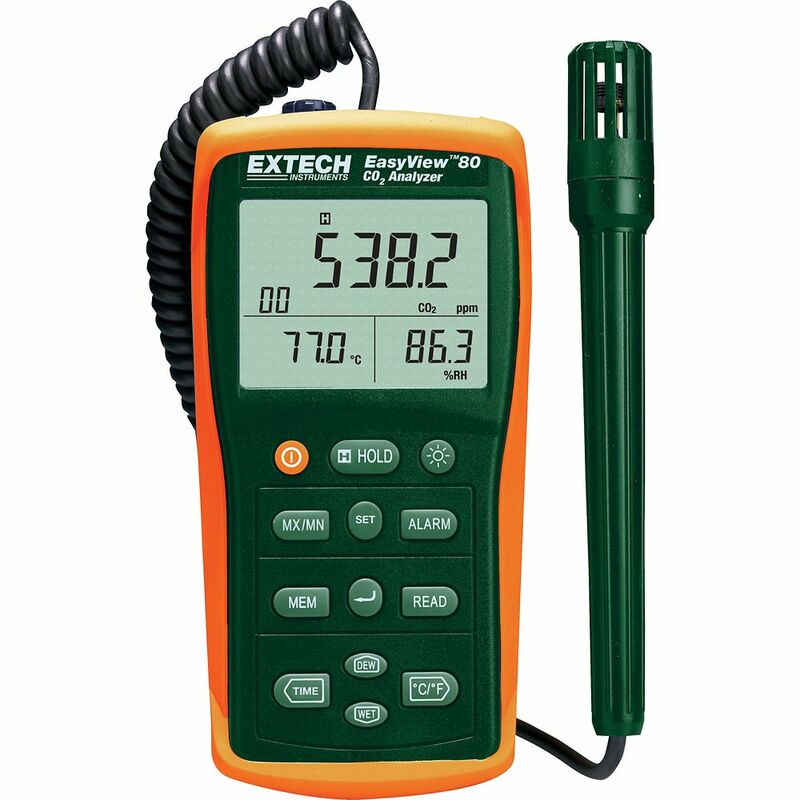 But if you are selling their products maybe you should know ExTech has never been "top of the line" in the measurement tools category. But this device is at a "top of the line" price, so I expect more. I don't get any response from FLIR, their new owners either.